Vice President Mike Pence gave a eulogy honoring the late President George H.W. Bush Monday afternoon, sharing a story about the elder Bush signing a letter for his son after he accomplished his first tailhook landing. 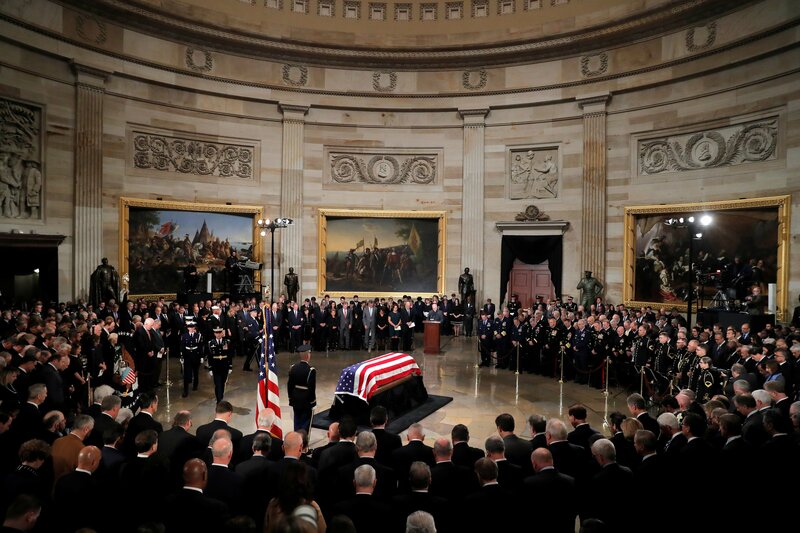 Bush will lie in state the U.S. Capitol rotunda until Wednesday morning’s funeral at Washington National Cathedral.